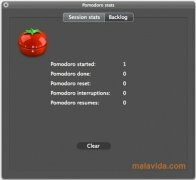 When you are using a computer it is difficult to calculate the time you spend on certain tasks if you don't have a tool like Pomodoro, capable of managing it in an efficient way due to the fact that it is based on the time saving technique of the same name. Pomodoro is a chronometer that has been created specifically for Mac with which your time in front of the computer will be more efficient. It's a totally free application that integrates in the status bar. It offers the possibility to start the countdown, stop it or pause it. 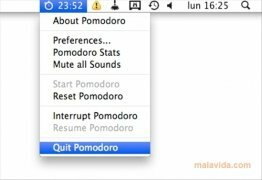 Its options to assign keyboard shortcuts for these functions will avoid you having to resort to the mouse for these actions. 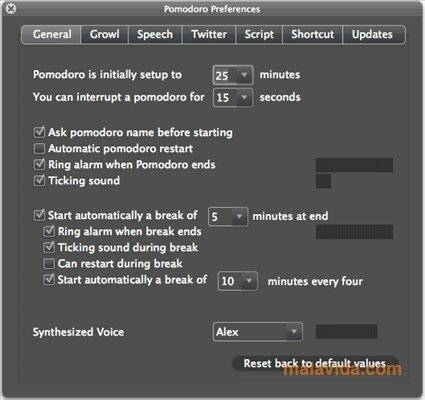 The software is capable of notifying you when an event occurs by means of different systems, whether a sound alarm, AppleScript notifications or by means of Twitter. 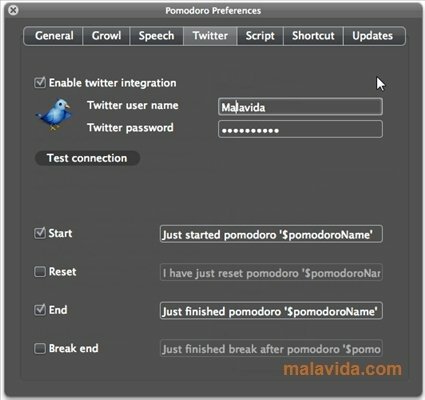 It's also possible to modify the events and manage them from a dedicated window. Likewise, the statistics have their own panel in which you will be able to follow your progress. Optimizing the time that you spend on your computer is a good way of making the most of its performance and your own. 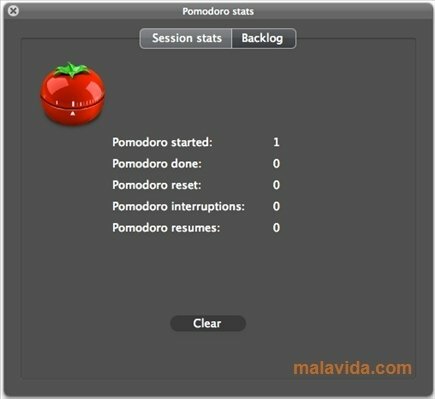 With Pomodoro you'll no longer waste time in front of the screen.